While Tupac Shakur and the Notorious B.I.G.’s beef may go down as the most widely recognized feuds in Hip Hop, one of Biggie’s most notorious tiffs transpired between him and members of the Wu-Tang Clan. 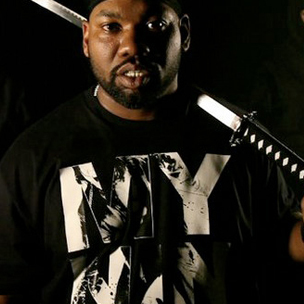 Now, in a recent interview with MTV, B.I.G.’s one-time adversary Raekwon speaks on his short-lived feud with the Brooklyn legend. Back in 1995, Rae and his partner-in-rhyme Ghostface Killah lambasted Biggie on a skit from Only Built 4 Linx… titled “Shark Niggas (Biters)” over the similarities between the album covers of B.I.G.’s debut Ready To Die and Nas’s Illmatic. Now, the Chef looks back on his past debacle, saying that he never really viewed it as a serious beef and that had Biggie not passed away, a joint album between the two of them could have happened.